Faced with a 100 per cent hike in its $460,000-a-year annual electricity bill, specialist machine maker ANCA Group turned to a rival supplier. Their offer was 200 per cent higher. Shocked, ANCA executives ripped up those offers from traditional energy retailers and signed up for wind power. The manufacturer of cutting machines based in outer eastern Melbourne now relies on that 10-year contract, based on power from the Ararat wind farm, for almost 80 per cent of its needs. It’s also in the process of installing rooftop solar to reduce its exposure to spot prices the rest of the time, especially on hot summer days. 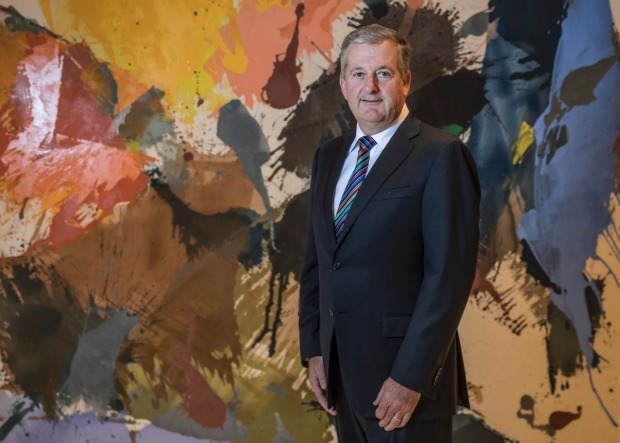 While the company is still paying about 50 per cent more than it used to and is locked into a deal several times longer, chief executive Christopher Hegarty says the decision is paying off. The market for corporate renewables PPAs took off in 2017. “We didn’t want to be in a situation where we signed up to a very high price for three years, then in another three years we signed up to an enormous price,” said Dr Hegarty who admits ANCA wasn’t looking for green power. After a slow start in Australia, the trend for industry to sign long-term contracts for renewable power – often bypassing a traditional retailer – took off last year, driven by the spike in wholesale prices caused by the shutdown of the Hazelwood. Consultancy Energetics estimates that since 2016, such corporate power purchase agreements (PPAs) have underpinned over 2650 megawatts of projects. It says half the 2020 renewable energy target could be delivered by corporate-backed solar and wind projects. 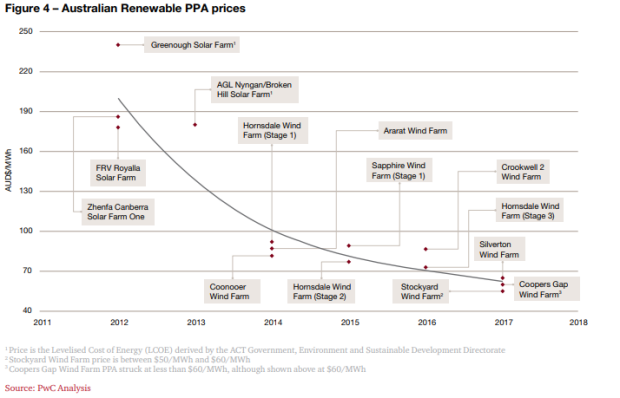 Prices for PPAs have fallen sharply as renewables costs have reduced. Telstra, Coca-Cola Amatil, data centre operator Equinix, and confectioner Mars Australia have all done it, as well as state and local governments and universities. 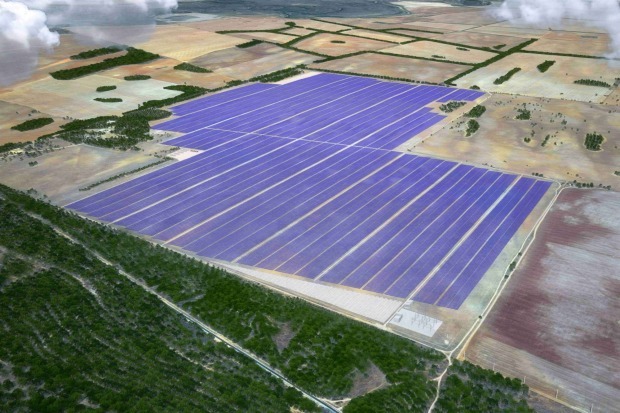 Last month, BlueScope Steel signed the country’s largest solar power purchasing deal yet, underpinning a 500,000-panel farm to be built in the NSW Riverina. The power purchasing agreements (PPAs) can include large-scale generating certificates or just the power itself, and can be constructed in many different ways depending on the pattern of electricity use, the risk a customer is willing to accept and other factors. Matthew van der Linden at business power retailer Flow Power, which stitched together ANCA’s contract, says savings of 40 per cent or more are possible for some customers with the flexibility to adapt their load depending on the market. Even for those that don’t, savings are significant, perhaps of 30 per cent. But others say those numbers don’t take into the account the price of “firming” supply, to fill in the gaps between intermittent solar and wind generation for those that can’t flex their load, and remove exposure to volatile wholesale prices. ANCA’s deal does not include firming. Maoneng’s Sunraysia solar farm will cover approximately 1000 hectares of land. Renewables supply without firming could perhaps cost under $50 a megawatt-hour for a 10-year contract, but firming comes at about a 20 per cent premium to flat “black” energy on the wholesale market because it involves drawing on the grid at times of the day when the cost is higher because renewables aren’t generating, said one source. A long-term PPA with firming should still compare favourably to a one-year traditional contract but the equation is less clear-cut. “If you include firming it’s not as advantageous, but still renewables are cheap and they are coming in,” said Greg Jarvis, head of energy at Origin Energy, a traditional retailer which is also packaging up renewables PPAs for customers and adding firm capacity to offer round-the-clock power. Origin earlier this year signed what it describes as a “hybrid PPA” with the University of NSW to supply renewable energy from Maoneng’s Sunraysia solar farm, firmed by electricity outside of daylight hours to meet the university’s load 24-7. It has another contract in an advanced stage of negotiation. Infigen is adding a battery to its Lake Bonney wind farm in South Australia. “We see a growing market for hybrid corporate PPAs which we can tailor to the needs of each customer down to what renewable plant they want to buy energy from, but manage the pool price risks for them by supplementing this with firming generation when renewables aren’t available,” Mr Jarvis said. At fellow major “gentailer” AGL Energy, head of wholesale Richard Wrightson anticipating the wave of corporate renewable PPAs to lead to increased demand for dispatchable power. That should spur investments in gas plants, pumped hydro and batteries – although perhaps at a slower rate and with less confidence than under the National Energy Guarantee policy, the subject of political debate in Canberra. That policy imposes an obligation on retailers and very large energy users to source reliable as well as lower emissions supply. Orora CEO Nigel Garrard says the company’s wind PPAs have reduced exposure to volatile power prices. 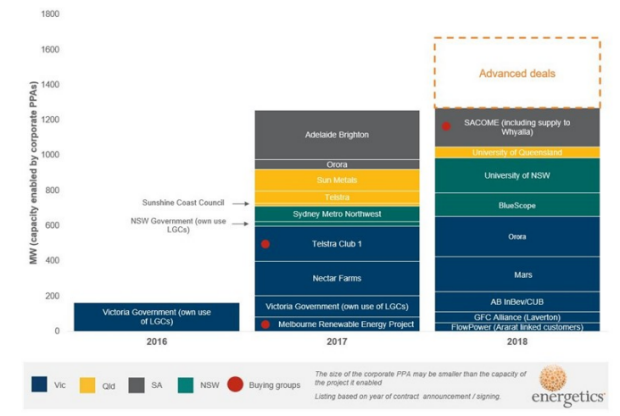 “What we are not particularly seeing yet – which goes to questions about the NEG – is some of the larger industrial customers and commercial customers in general, how they are going to underwrite power station builds for reliability,” Mr Wrightson told AGL investors this month. Some renewable generators are already adding “firming” capacity to their projects to be able to offer round-the-clock power, although that may not always be commercial. Infigen Energy’s new $38 million battery project at its Lake Bonney wind farm in South Australia, announced last week, wouldn’t be economic without $10 million of government funding, said managing director Ross Rolfe. Packaging giant Orora, which has seen energy costs more than double in three to four years, handles its need for firm power in different ways in its two renewable PPAs with wind farms. Managing director Nigel Garrard said Orora’s deal for its Victorian and NSW operations involves “an innovative, Australian-first base-load renewable deal” that allows the company to access electricity at an agreed price, irrespective of whether or not the wind is blowing and producing renewable energy. The contract involves power from the Macquarie Capital-backed Lal Lal wind farm under construction in Victoria. 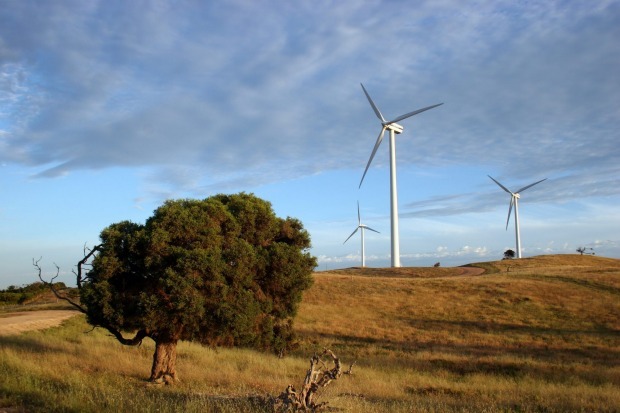 In South Australia, Orora’s agreement with Pacific Hydro is for renewable wind-generated electricity, backed by on-site generation. “Orora decided that we could not continue to be exposed to volatile pricing and the uncertainty that this causes,” Mr Garrard said. Mr van der Linden says that for most business users of energy it isn’t worthwhile yet to buy “firmed” supply or to invest in their own back-up generation or battery storage given other options to manage load and the reduced spot market risk provided by a wind PPA. That may change in three to five years when the volatility of the wholesale market more broadly – not just in South Australia – may be greater.